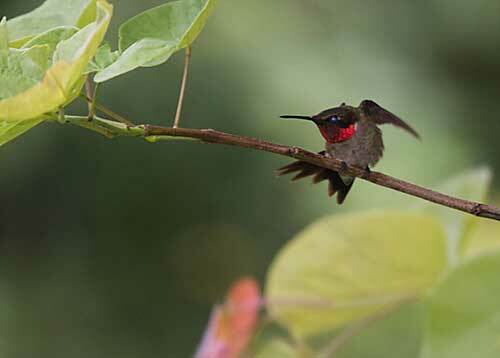 On a warm, muggy day when the clouds sulk, promise rain but don't deliver, the ruby-throated hummingbird stretches his wings. Ah, that feels good! Now back to the feeder with its generous supply of sugar water. Or maybe our humming friend is doing hummer Pilates.